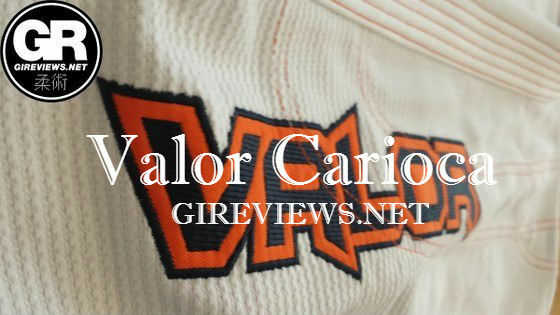 The Valor Carioca premium gi impressed me in many ways. At first glance, the gi seemed like a pretty straightforward and basic gi, nothing to dislike, but nothing out of the ordinary. However, it exceeded all of my expectations. Valor Fightwear is a British company that doesn’t yet have a strong presence in the various MMA/BJJ gear distributors of the western hemisphere. 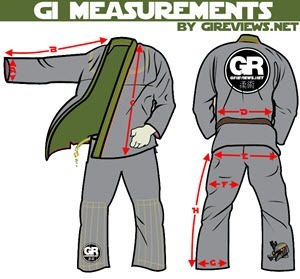 Upon receiving the gi, I noticed the lack of a gi bag (most “premium gis” come in some sort of drawstring bag), and the almost stark simplicity of the gi. Upon further inspection I found that the fabric chosen for this gi is one of the densest and toughest I’ve touched, while at the same time is soft and comfortable. The patches and embroidery are relatively simple while at the same time bold and their stitch work is of the highest quality. Fresh out of the bag, this gi fit me reasonably well, after the initial wash the gi shrunk to a perfect fit. My favorite gis are A2L, with a couple of exceptions, the Valor Carioca being one of them. 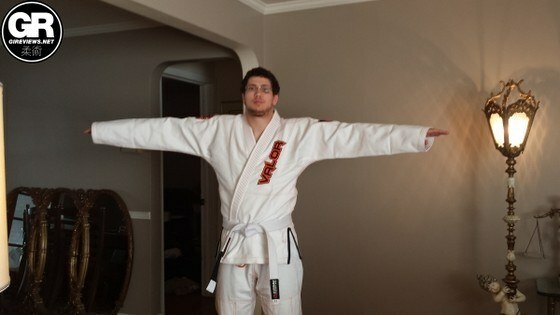 I am 6’1, 200 Lbs (+/- 5lbs), and this gi fits perfectly. The pants felt a bit tight at first, but I didn’t feel any ill effects when rolling and if anything they make grip retention more difficult for opponents. The Valor Carioca Premium has a relatively simple and straightforward design, but the design points are all very well done. The gi and trousers are white with orange and navy blue accent points (and stitching). The seam tape is plain ripstop and none of the stitching is scratchy and the gi has all the standard reinforcements (underarm, double stitching etc). All patches are actually embroidered onto the gi and are very high quality. The gi has two large “valor” embroideries, on the jacket, one next to the lapel and one on the arm. The other arm has a small round embroidery with the Valor “V” logo, with other smaller design points on other areas of the gi. I’d define this gi as very slightly flashy, but mostly subtle and subdued. If you are looking for the sort of flash that can be found on gis like Bullterrier, Breakpoint or Soul Roll this may not be a good choice. I personally like it. The gi jacket fits great. The gi has a fairly standard ripstop covered foam collar that is nice and dense. The element that I find most attractive about this gi is the “Carioca” weave. This is a DENSE 550 gsm weave and is definitely NOT a pearl weave given a fancy name. (In some cases, companies will produce a pearl weave and call it something fancy sounding for marketing purposes). This weave is probably not a good “summer weave”, as it is one of the most substantial feeling gis that I have ever seen, but at the same time it is light enough and comfortable enough to roll in. The pants are made of a dense ripstop, it’s not waxy like some ripstops so that’s good but many high end gis have gi material gussets which this gi doesn’t have. Like many gi pants the Valor Carioca has a double layer of fabric from the top of the thighs down, one nifty design point that this gi has is that that double layer goes all the way to the bottom of the pants. The pants have a round, stretchy rope style drawstring that Valor chose to NOT tie off, but they did singe the end so the rope doesn’t fray, and 4 loops for the string. This gi is wicked! I found grip breaking much easier when wearing this gi than many others, and I think I have the Carioca weave to thank. The only detail that is not positive is the lack of a gi material weave gusset in the pants, other than that this gi is SOLID. While reviewing this gi I reviewed 2 others, a Lanky FG and a Soul Roll Alpha. Of the three gis this one was the biggest surprise and probably my favorite. 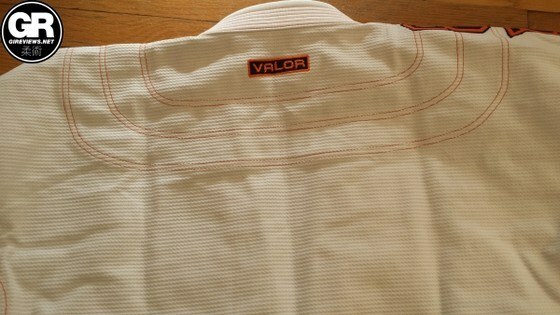 The folks at Valor have chosen great materials with which to make this gi and the patch work is so clean. This gi definitely gets my approval! Disclosure: This Gi was submitted to me free of charge (by way of gireviews.net) for review. 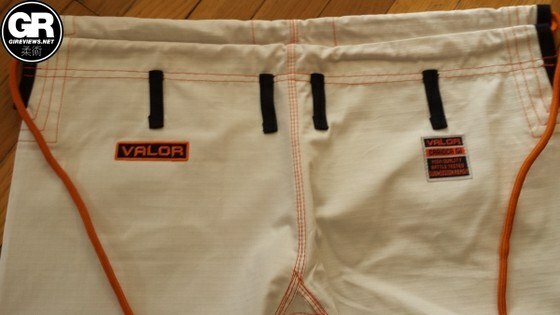 I have never done any work with or for Valor Fightwear.